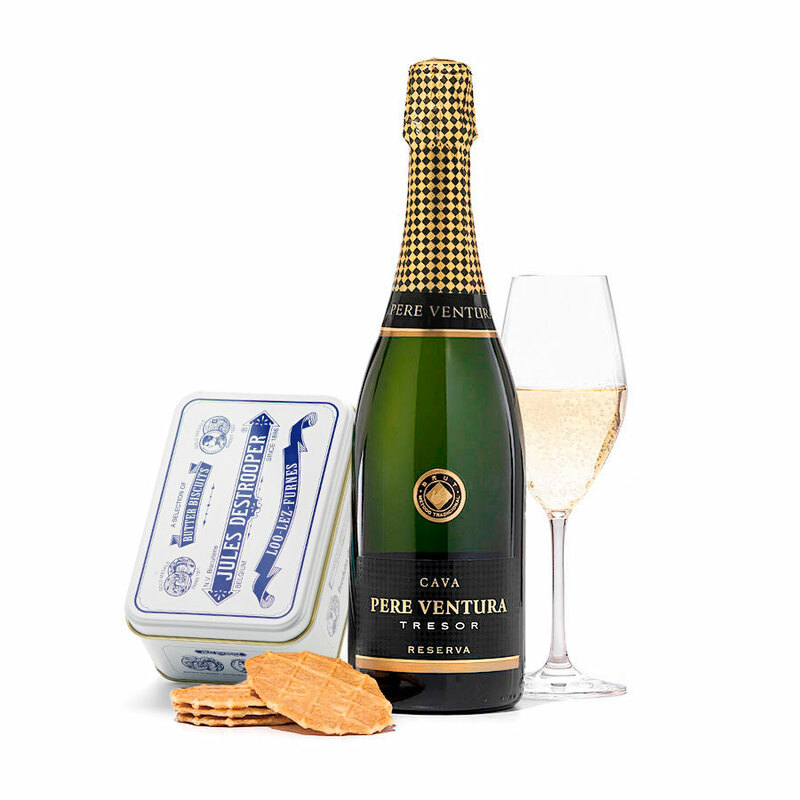 Treat a colleague or client to this unique cookies and Cava gift set. 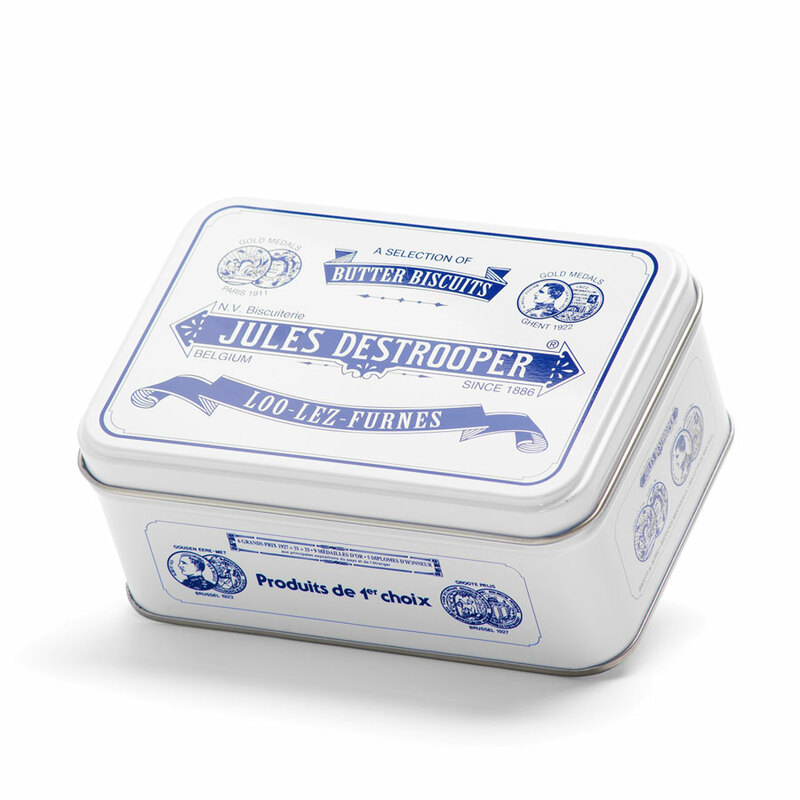 Classic Jules Destrooper Belgian butter crisps are presented in an artistic mini retro tin. 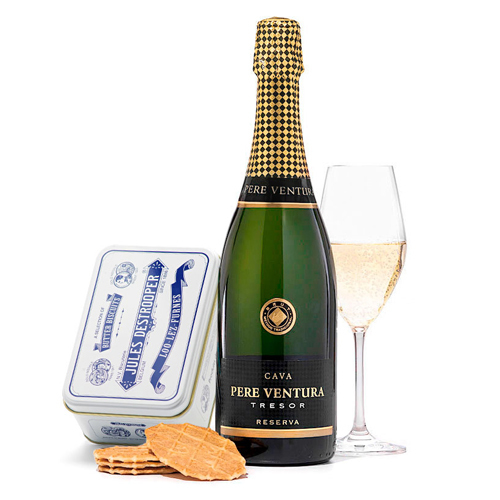 The simple pleasure of the cookies is complemented by a bottle of Cava Pere Ventura Tresor Nature Brut from Catalonia. Cava, the iconic sparkling wine of Spain, is crisp and refreshing with slowly rising bubbles - just the thing to sip with the delicate butter crisps. Send cookies as a gift to show appreciation for a colleague, wish a client Happy Birthday, or for any other business occasion. Belgian Jules Destrooper is a 4th generation family company dedicated to making the best butter wafers with natural ingredients. The butter crisps are still made using the original secret family recipes dating back to 1886. Please note that the wine glass is not included. The Pere Ventura winery was founded in 1992, based on a family tradition of wine creation dating back to the 19th Century. 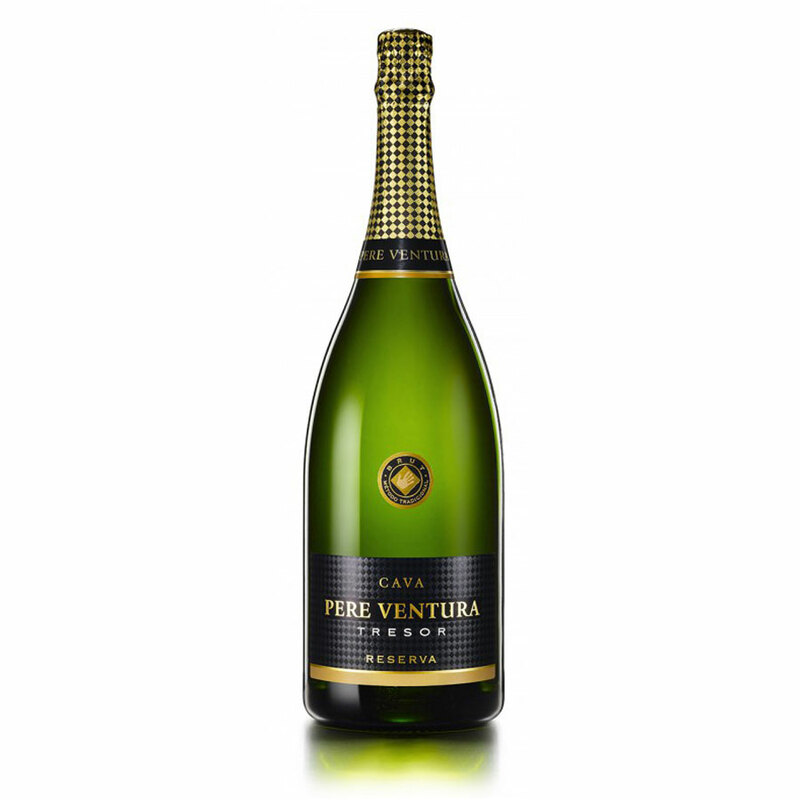 Crisp and refreshing with delicate complexity and slowly rising bubbles, Cava Pere Ventura Tresor Nature Brut is a wonderful companion for aperitifs, seafood, and other delicate foods. Ingredients: Wheat flour, sugar, butter (18%)(milk), free-range eggs, raising agent: ammonium bicarbonate, sea salt. Allergy Advice: May contain traces of soy, almonds, hazelnuts and cashew nuts.